Free high resolution photo of two tang fish in an aquarium. This picture shows a blue Naso Tang or Lipstick Fish, as well as a yellow Tang. 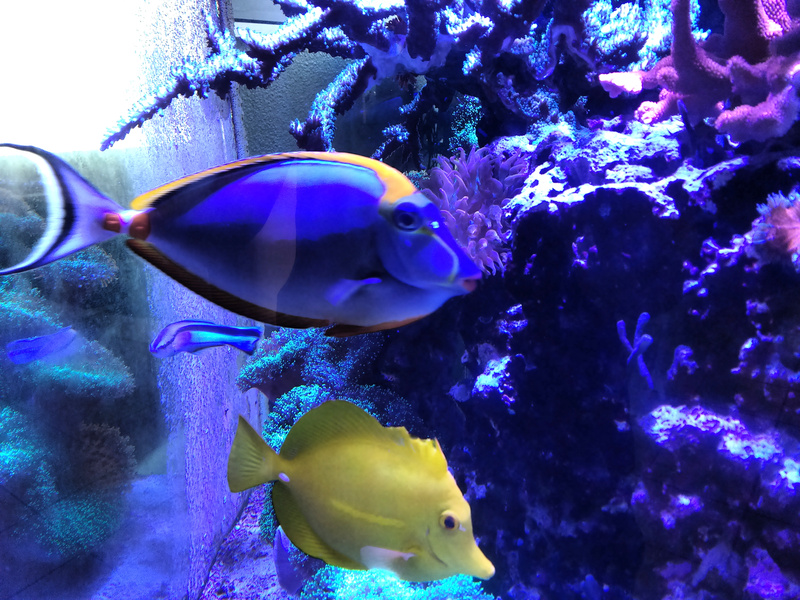 Both are saltwater fish of the Acanthuridae family, and popular for aquariums because of their bright colors. Free image for any use.